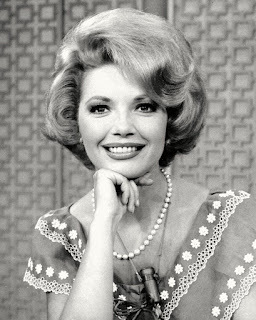 Chris MacNeil (Ellen Burstyn) is an actress filming in Georgetown, Washington, D.C. She begins to notice changes in her 12-year-old daughter, Regan (Linda Blair): aggression, apparent seizures, speaking obscenities and profanities, etc. Chris takes Regan to various doctors and psychiatrists, but the girl’s behavior only worsens. When the medical professionals cannot adequately explain some of Regan’s more bizarre actions (one doctor suggests that muscle spasms were causing an entire bed to shake), Chris turns to Father Damien Karras (Jason Miller), a priest and psychiatric counselor. Father Karras, who has recently begun to question his own faith, eventually requests the Church’s permission to perform an exorcism. 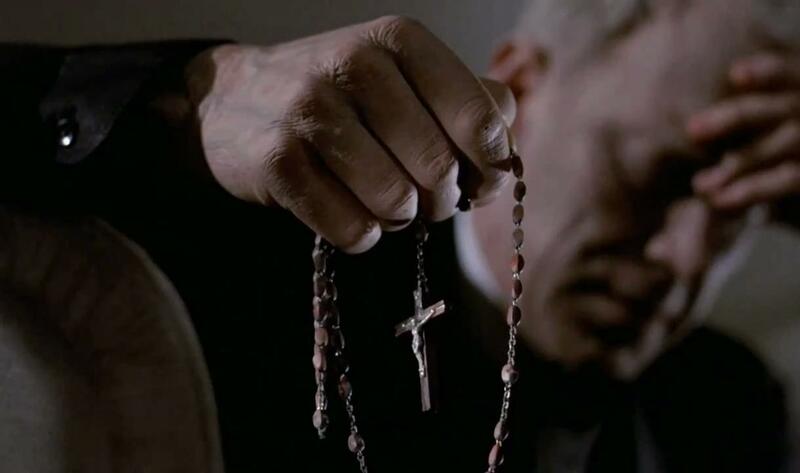 Finding a priest with experience in exorcism, the Church sends Father Merrin (Max von Sydow). The Exorcist (1973) is based on the novel by William Peter Blatty, who also wrote the screenplay adaptation. The author had wanted William Friedkin to direct. Friedkin had recently won an Academy Award for Best Director for The French Connection (1971), and Blatty had hoped that the filmmaker’s gritty, documentary style would add realism to The Exorcist. Friedkin’s approach to the material is straightforward, a deliberately but effectively slow build to a menacing evil. On occasion, the film indeed feels like a documentary, as viewers watch Chris gradually learn what is happening to her daughter. Blatty was not pleased with the version initially released in theaters, due to scenes that were cut from the film. Though the director has stated that he cut sequences at the bequest of the studio, the novelist felt that these scenes -- including a staircase conversation between the priests during the exorcism, with Karras questioning why Regan was chosen -- were essential to the plot. According to Friedkin, the excised scenes resulted in the two men not speaking to each other for years. Following the 25th anniversary DVD release, Friedkin returned to the source material and edited the cut scenes back into the film. Another sequence that had been removed was what has become known as the “spider walk” scene, where a contorted Regan does a reverse crawl down the stairs. Friedkin was unhappy with the effect, which was later digitally corrected (i.e., the visible cable could be erased). There is the belief by some that The Exorcist was a cursed film. There were rumors of accidents on the set, sometimes resulting in injuries. Members of the crew or people related to them died during filming, such as Jack MacGowran, who played Chris’ director and possible love interest. Friedkin allegedly asked Father Thomas Bermingham (a technical advisor who also had a role in the film) to exorcise the set. When the film was released, viewers claimed to be possessed or experiencing extreme psychological reactions, some referencing the purported “subliminal” flashing of a demon’s face (although it’s not genuinely subliminal, since it’s clearly visible). Some audience members would prematurely exit the theater during a viewing or would become physically ill. Blatty, however, attributes this not to scenes of demonic possession but rather the sequences of Regan undergoing strenuous tests such as a pneumoencephalography (enduring a needle in her neck and having her head taped down, among other things). The Exorcist was such an overwhelming success that it sparked a horror subgenre of possessed people and the resulting scenes of exorcism. Not surprisingly, clones and sequels invariably followed. Some of the more interesting takes on The Exorcist were: Alberto De Martino’s L’anticristo (1975/aka The Antichrist; The Tempter), Exorcismo (1975/aka Exorcism), starring popular and prolific Spanish horror star Paul Naschy (sometimes called the “Spanish Lon Chaney”), Un urlo nelle tenebre (1975/aka Cries and Shadows; The Possessor; and even the blatant Naked Exorcism, The Return of the Exorcist, and The Exorcist 3); and La endemoniada (1975/aka Demon Witch Child; The Possessed), directed by Amando de Ossorio, better known for his Blind Dead series. A Turkish film, Seytan (1974), is clearly an unofficial remake. Similarly, William Girdler’s Blaxploitation feature, Abby (1974), starring William Marshall (perhaps best known as Blacula), was sued by Warner Bros. for copyright violation. Mario Bava’s film Lisa and the Devil (aka Lisa e il diavolo), released before The Exorcist in 1972, was reedited with new footage added and retitled The House of Exorcism for its 1975 U.S. release. John Boorman helmed Exorcist II: The Heretic in 1977. It follows Father Lamont (Richard Burton) investigating a death resulting from the exorcism of Regan. Blair reprises her role, and von Sydow appears as Father Merrin in flashbacks. The film performed poorly at the box office. Blatty fared a little better with The Exorcist III (1990), based on his novel, Legion, which was also the movie’s original title. The author wrote and directed the film, but the studio compromised his efforts, demanding rewrites, reshoots, and a title change. It featured George C. Scott as Lt. Kinderman and Ed Flanders as Father Dyer, both characters having appeared in the first film (Lee J. Cobb, who played Kinderman in The Exorcist, died in 1976). Jason Miller also makes an appearance as Patient X (with the insinuation that he is Father Karras, a studio alteration). Reportedly, the footage that Blatty originally shot has since been lost, which has been blamed on Morgan Creek Productions. The same year as The Exorcist III, the Exorcist parody Repossessed, starring Blair and go-to funnyman Leslie Nielsen, was released. In 2003, Paul Schrader was fired as director of an Exorcist prequel (he had replaced John Frankenheimer, who had died in 2002 before filming had started). Schrader’s work was completely revamped by director Renny Harlin, and the movie was released in 2004 as Exorcist: The Beginning. After a poor reception of Harlin’s movie, Schrader was given additional funds to finish his nearly completed film. The movie, titled Dominion: Prequel to the Exorcist, received limited theatrical showings and subsequent video/DVD release in 2005. Although the film likewise was not well received, it’s generally preferred by fans of the series. Blatty publicly supported Schrader’s film, while expressing discontent for the 2004 version. In 1980, Blatty wrote and directed The Ninth Configuration, an adaptation of his 1978 novel of the same name, itself a reworking of his own 1966 book Twinkle, Twinkle, “Killer” Kane (also an alternate title for the film). The author reputedly considered it a sequel to The Exorcist. A notable connection between the two films is Capt. Capshaw (Scott Wilson, who was nominated for a Golden Globe), an astronaut with a fear of dying in outer space, and it was supposedly Capshaw to whom Regan is referring when she speaks her famous line: “You’re going to die up there.” In addition to Wilson, the film was nominated for a Golden Globe for Best Drama and Blatty won for adapted screenplay. Several cast members, including Wilson, Miller, Flanders, and Nicol Williamson, would also star in Blatty’s The Exorcist III. The Ninth Configuration was not a success at the time of its theatrical release but has since gone on to achieve cult status. Friedkin has boasted that he originally edited The Exorcist at the New York office building located at 666 5th Avenue. Radio and film actress Mercedes McCambridge provided Regan’s raspy voice during the young girl’s possession but did not initially receive a promised screen credit. She (and the Screen Actors Guild) were able to get her name added to the credits. The film’s original trailer, consisting of black and white flashes of a demonic face and a possessed Regan coupled with ear-piercing music, was supposedly banned by executives as it was deemed too frightening to play in theaters. The film was nominated for 10 Academy Awards, winning for sound and adapted screenplay. It won a Golden Globe for Best Picture, with Golden Globes awarded to Friedkin, Blair and Blatty. Just this month, Warner Bros. released The Exorcist on Blu-ray, presented in a “book” format with details of the film and trivia. The two-disc set includes the original theatrical version and the director’s cut (released in 2000 as “The Version You’ve Never Seen”), as well as previously available and brand new features. For more details, click here. 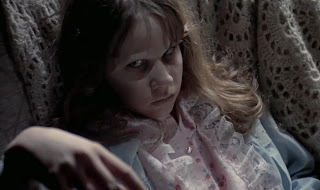 Sark, your article is so well-researched and interesting that you should call it "Everything You Always Wanted To Know About The Exorcist But Were Afraid To Ask." I'd love to dig up some of the foreign versions you mentioned. I saw The Exorcist at first release at a drive-in theatre and was completely blown away. I agree that the staircase scene with the 2 priests was essential after seeing the 2000 version, and of course the spider walk was so chilling I had a nightmare about it. The background stories to these movies are fascinating. It seems to me that there was another movie that was supposed to be cursed, but I can't bring it to mind. It might have been the original Mummy, but I may be confusing that with the actual cursed dig of the 1920's. Shakespeare's Macbeth is considered a cursed play for performers, but that's not it. Do you know what I might be thinking of? Original Exorcist and re-release -- Incredible, groundbreaking, fantastic performances, terrifying, just one of the best. Exorcist II -- Turkey with dressing. Exorcist III -- Incredible, literary allusions abound, marvelous performances, 2 scenes that I still have nightmares about, flawed only by the exorcism scene at the end which I understand the studio insisted on tacking on so there would be an actual exorcism. Dominion: Prequel to The Exorcist: Good, held up mainly by Stellan Skarsgard's performance. I really enjoyed your article immensely, Sark. Hope maybe you can help me with another movie I am sure was also considered cursed. Smashing write up of one of the few horror classics. I'd heard about the spider scene,but not the other omitted scene described. Sounds like a must buy DVD. I assume it's blu ray? Sark, this was a splendid, fact-filled review of a genuine horror classic! (Love your photos, too.) It’s a testament to the influence of THE EXORCIST that sequels were being made over 25 years later. You did a marvelous job of identifying the imitations it spawned (to include some pretty good ones like ABBY). The only thing I can add is to point out the appropriately-disturbing score by Mike Oldfield (which, to me, foreshadows Carpenter’s fine score for HALLOWEEN). If memory serves, Oldfield’s theme actually became a pop hit. 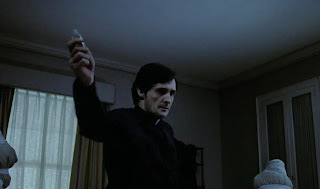 By the way, I’ve seen THE NINTH CONFIGURATION multiple times and never noticed the connection with THE EXORCIST. (I recommend Blatty’s cult pic, by the way, though there’s a fight scene that’s pretty potent). Thanks for a superb review…I think the Blu-ray will make an ideal Christmas present for horror fans. Sark, this is an outstanding well researched review. It is one of my favorite horror movies. I read the book by Blatty before going to the movie. The book is really good too. It has many creepy scenes. The ending is one I will never forget. Tubular Bells is creepy music and is on my iPod. I own the DVD but would like to see the uncut version. Becky, your take on the movies sums them up for me too. I really enjoyed your review, Sark. Now I need a watch an Exorist marathon before Halloween. Excellent write-up of one of the scariest films I have ever seen. I remember seeing it alone in a dark theater back in 1973 and I don't remember ever being so scared. 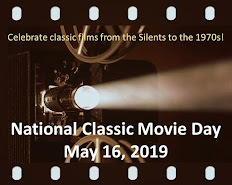 The film was released when I was in college in a town not far from D.C. When some friends and I were visiting the Georgetown area of D.C. we made a special effort to hunt down the area where a lot of the film was shot. The stairs where the priest landed in the final scene is a particularly famous site in Georgetown and is located across from Key Bridge as you enter D.C. from Virginia. Later I pointed out the same area when my wife and I visited D.C. This review makes me want to revisit this classic film, just in time for Halloween. Becky, I'm not sure of which movie you're thinking. Some movies are deemed "cursed" due to tragedy (TWILIGHT ZONE: THE MOVIE) or an associated tragedy (Polanski's MACBETH). But many people believe that POLTERGEIST was cursed from a great deal of misfortune. And I, too, agree with your EXORCIST summation! Anonymous 1, yes, the 2-disc edition is Blu-ray, but Warner Bros. has also re-released the director's cut on DVD (the cover is the first Linda Blair still in my write-up). Rick, the score is superb! Watching the movie again, I realized that little to no music is utilized in the bedroom scenes with the possessed Regan. Quite effective technique. The music is indeed reminiscent of Carpenter's HALLOWEEN. I think the Goblin score in Dario Argento's SUSPIRIA is also similar. Aki, have you read anything else from Blatty? I'm currently running an EXORCIST marathon. The first sequel is not very good, but it connects very well to the original. Anonymous 2, I think watching a horror film in the theater is a wonderful experience. I can recall watching Scorsese's CAPE FEAR in the theater and jumping twice, not because of the film, but because of the crowd of college girls screaming. Thank you for sharing your EXORCIST experience with us! Sark, Another wonderful moview review. I remember the first time I saw the film, THE EXORCIST, it was on TV. I was painting the bathroom in our new house. My husband came in and told me the movie was soo scary he could not watch it alone.. I stopped what I was doing and said" I've got to see this". A movie that would scare my husband?! I thought it was an amazing story about a battle between good and evil. I still think it is amazing that they did not use computers and special effects. Instead, the film relies on story and performances to tell the story. You hit it, Sark. It was Poltergeist I was trying to remember. There were a lot of weird things happening, deaths, accidents. Curse? Or as Popeye would say "What a coinkidink!" Sark, what a great review. This is one of the scariest film I ever saw. My mother made me watch this as a child to warn me about the devil--don't laugh, it's true. "The power of Christ compels you" is what I kept hearing for days. Ever seen the South Park episode where Butters says this to the vampire kids? I almost fell off the couch I was laughing so hard. But believe me, I wasn't laughing when my mom made me watch this when I was about 7 or 8. Nuanced Terror - Jack Clayton's "The Innocents"
Wanted: Fans of John Frankenheimer's "Prophecy"
Win a Free Download of The Maltese Falcon! What Are Your Favorite Movie Quotes? What is Your Favorite "180-Degree Movie"?